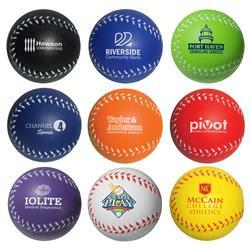 Custom Baseball Stress Relievers with your personalized logo. 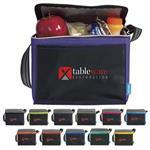 Our baseball promotional items are perfect for tradeshow giveaways and sporting events. Soft, handmade, squeezable, logoed baseball. Inquire for rush. Hockey, basketball, football and other sport stress balls also available from Adco Marketing. 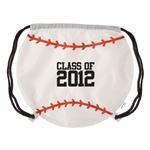 Call 888-332-ADCO for home run promotional products! Available Colors: White with red trim. Hit one out of the park with the baseball stress ball! You'll never strike out while easing your customers' tension! You can use this as part of a fundraiser to send the local team to the championship, to promote your sports bar, or simply to thank your fans and customers for a supportive season! Products are not intended for use by children or pets. They may present a choking hazard to children under 3 years of age. Bulk/250 pcs = 16 lbs.